It’s Speedy Tuesday! This week we received one of our favorite modern Speedmaster Professional editions from one of our readers, the Speedmaster Professional Snoopy. 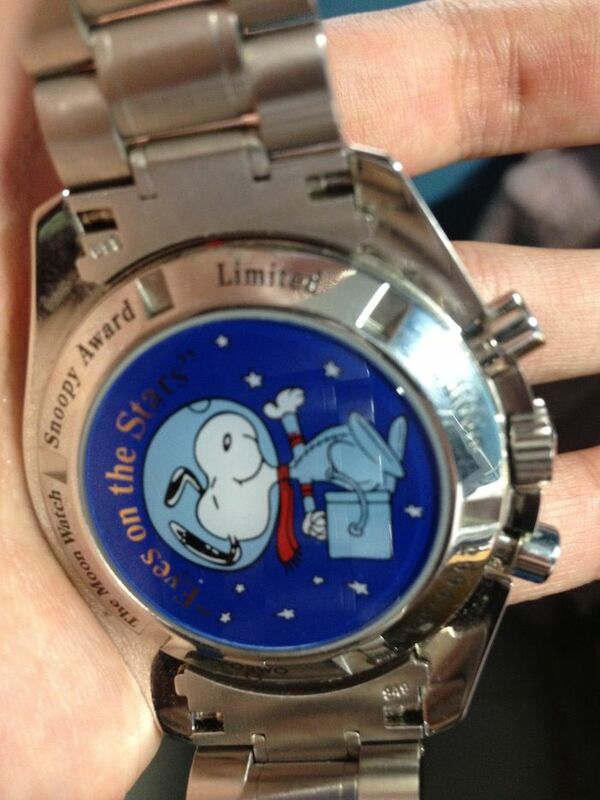 The Speedmaster Professional Snoopy pictures have been submitted by Daniel Justin Teo. He is an enthusiastic follower of our Speedy Tuesday topic and lives in Singapore. While growing up, Daniel Justin Teo writes us, Snoopy was one of his favorite characters. This, and the Eyes on the Stars being his personal slogan, makes the OMEGA Speedmaster Professional Snoopy his favorite daily timepiece. Besides OMEGA, Daniel Justin also collects Jaeger-LeCoultre watches. Although you can hardly speak about a limited edition with a production of 5441 pieces, it scares me that they are very difficult to buy for a decent price. 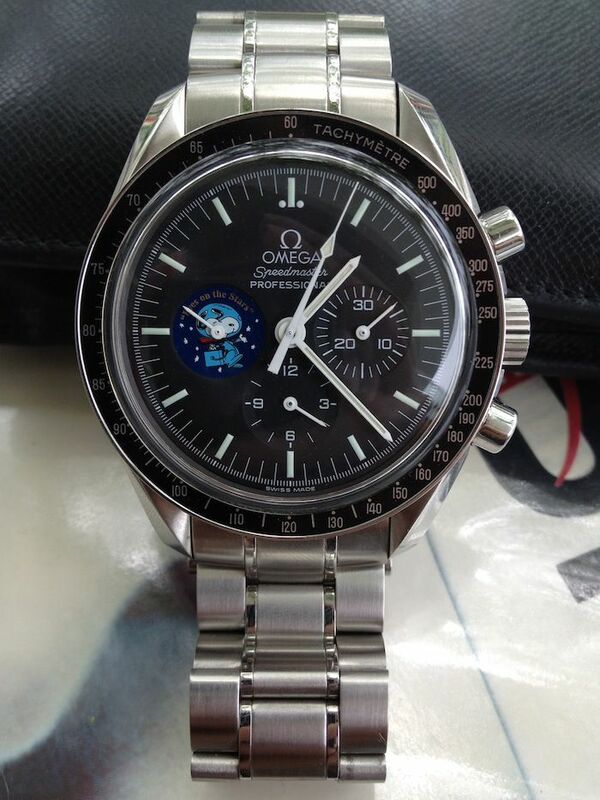 Together with the Apollo mission patch models, the Speedmaster Professional Snoopy is probably one of the more expensive modern Speedmasters. Believe me when I tell you that I run a weekly query on Chrono24 and eBay to find one for an acceptable price. Besides the dial, caseback and packaging there is no difference with the regular Speedmaster Professional 3570.50. The Speedmaster Professional Snoopy was introduced during BaselWorld 2003 which makes the watch 10 years old. Although you could find them easily in those first few years after introduction, it seems that no-one is willing to part with it now. Sadly, for some people. I’ve received a few remarks and questions in the past around Snoopy. 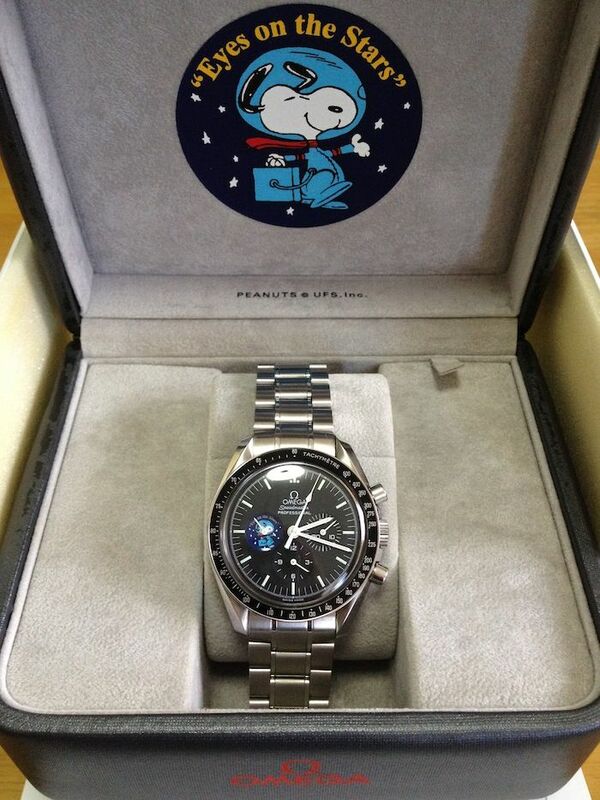 Well, anyone can google, but here’s in short why OMEGA used Snoopy on one of their iconic timepieces. During the Apollo 13 mission in 1970 (April 11th – April 17th), the plan was to send another team of NASA astronauts (Lovell, Swigert and Haise) to the Moon. The mission’s objective was to explorer a certain area on the Moon called the Fra Mauro formation. It didn’t come that far, as there was an explosion on board of the service module at approximately 200,000 miles distance from Earth. NASA’s ground control came up with a solution in the end which required the astronauts to get creative with some materials on board of their module. After that was fixed and all systems worked (more or less) again, the crew started their journey to Earh. Now comes the part where the Speedmaster played an important role. The Apollo 13 crew needed the Speedmaster firstly to time ignition of the rockets to shorten the estimated length of the return to Earth and secondly to time ignition of the rockets to decrease speed and raise the flight path angle for re-entry into the Earth’s atmosphere. This second operation was crucial, since any mistake in the timing could have led to an incorrect entry angle and, as a result, potential disaster for the crew. NASA used (and still uses!) 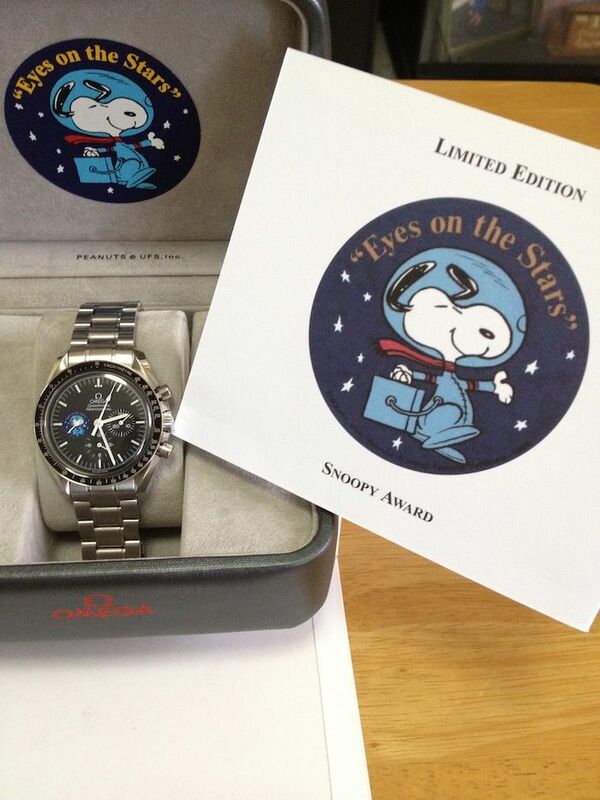 the Snoopy Award for special contributions and outstanding efforts from both individuals and companies. 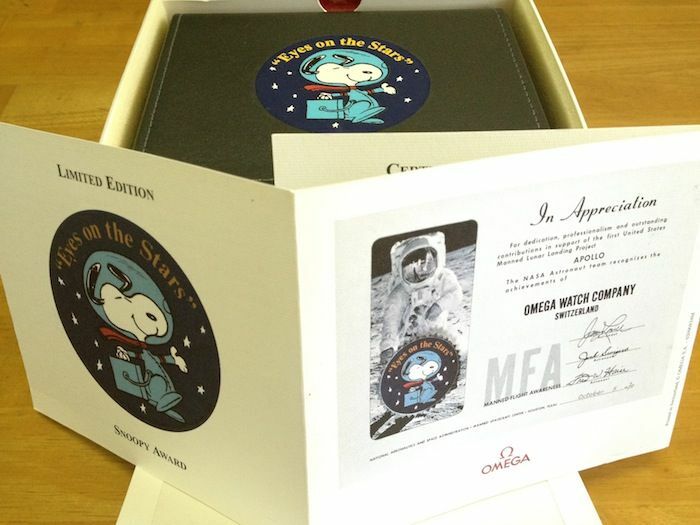 On October 5th 1970, NASA gave the OMEGA Speedmaster a Snoopy Award to demonstrate their recognition for the crucial role the Speedmaster had during the Apollo 13 mission. If you haven’t seen it yet – although I can’t imagine – go see the 1995 movie ‘Apollo 13’ with Tom Hanks (an avid Speedmaster wearer himself as well). I’d like to thank Daniel Justin for submitting photos of his daily wearer! If you’d like to participate on our Speedy Tuesday, drop us a line!